Pizzuta is a remarkable Sicilian almond. 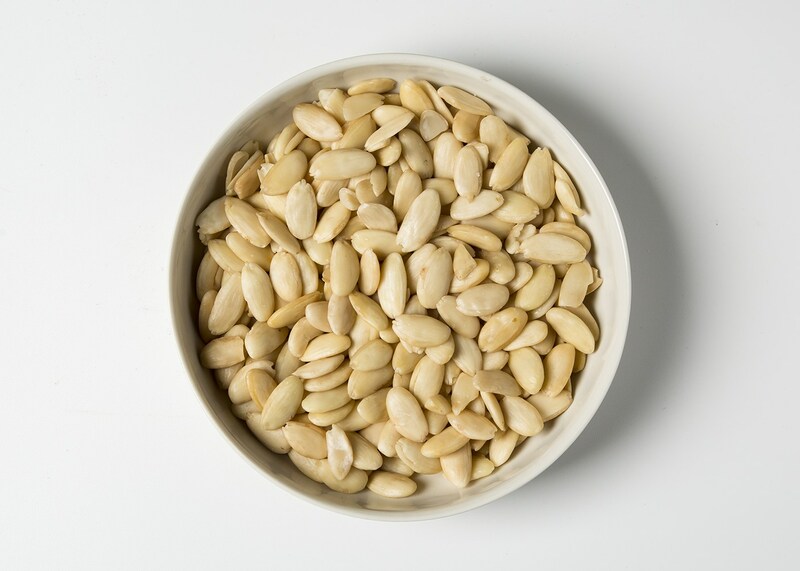 These peeled Pizzuta almonds are flat and delicate but bursting with rich almond flavor, they are similar in taste to the Romana variety but with an even sweeter, subtler flavor. Pizzuta are known for their long lasting flavor which is thanks to their high essential oil content. Their slender profile and delicate sweetness make them the traditional choice for Italian “confetti,” or Jordan almonds, but they add texture and flavor to dozens of sweet and savory dishes. Crush them up to top yogurt, gelato, oatmeal, or roasted vegetables; chop them into green salads or a traditional pesto Trapanese with tomatoes and basil, or eat them right out of the bag for a traditional healthy snack. Peeled Pizzuta Almonds are particularly sought after for their versatility in the pastry kitchen.